bartlett mitchell, one of the UK’s leading independent caterers, has prevented more than 500,000 coffee cups going to landfill, according to new figures announced in the company’s annual CSER report. By implementing a policy banning team members from using disposable cups, the company was also able to save 370 metric tonnes of CO2. This year, bartlett mitchell was the only contract caterer to take part in a Cardiff University research project, which found that financial incentives, re-usable alternatives and clear messaging had a direct positive impact on customer behaviour. According to the report, the company also reduced food waste by 7.5% in 2017 through its waste management strategy – exceeding its target by 2.5 percentage points. Waste at the business is now minimised, recycled or disposed of responsibly. Fruitful World, bartlett mitchell’s comprehensive CSER programme, acts as a framework for the company’s activities. Based on the Sustainable Restaurant Association’s (SRA) three pillars of sustainability, the company has created a balanced approach to achieving triple bottom line results for people, planet and profit. Published for the second time, the report focuses on the sustainability achievements that can come about through successful collaborations with suppliers, team members, customers, NGOs, government, education and clients. It also reveals a 20% increase in coffee sales at every site the company sells its premium and sustainable coffee brand Perkee, which was launched in 2016 in partnership with beverage supplier Bewleys and the Soppexcca coffee co-operative in Nicaragua. Additional key findings include a reduction in the environmental impact of Grab and Go packaging by using fully recyclable or compostable packaging at 90% of sites. The company aims to reach 100% in 2018.
bartlett mitchell was the first contract caterer to achieve a company-wide top three-star SRA rating in 2014. Since then, it has been named as the most sustainable contract caterer by the SRA for three successive years. Wendy Bartlett, executive chairman of bartlett mitchell, commented: “The resolve to make a long-term difference that has been demonstrated by our team has been immense. I couldn’t be more proud of the energy and determination to achieve these tremendous results. Andrew Stephen, CEO, SRA, added: “Feeding thousands of people every day, caterers like bartlett mitchell have the power to change eating habits and to shape a better food future for all of us. 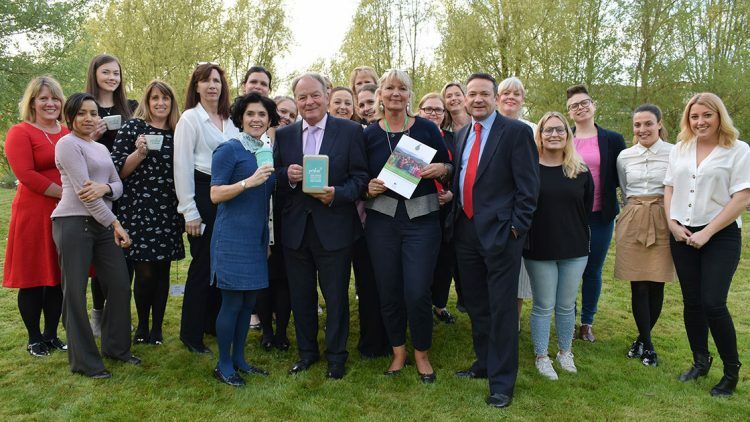 As multiple winners at the Sustainable Restaurant Association’s Food Made Good Awards, bartlett mitchell have proved over an extended period that sustainability is an intrinsic part of their business model and that’s been rewarded with continued market growth.